Founder of NEOM Organics London, Nicola before launching this wellbeing brand with her business partner was an editor for Glamour Magazine working 60 hours a week. However, as time passed she realised her wellbeing and her closest friends were all being affected by stress and the demands of the everyday busy life. The common problems would be poor sleep, low energy and mood swings, which is when she set off on her very own wellbeing journey, training as an aromatherapist and nutritionist before kickstarting this wonderful company in 2005. 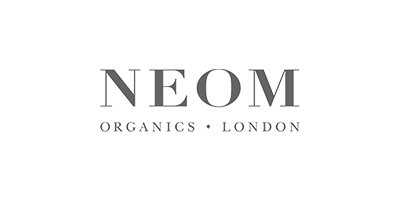 NEOM is a brand that realises that wellbeing begins with the small and mundane tasks in life like having a shower early in the morning and needing to feel energised and ready to start your day. Or perhaps a candle that will calm the atmosphere in a busy family home and even a relaxing bath just before bed to ensure you have the best rest possible to wake up refreshed. You can’t look good if you don’t feel good which is why all the fragrances in their products are 100% natural with true wellbeing benefits that will relieve stress, aid sleep, boost energy or lift your mood. Whatever you’re looking for you can shop for a mood in the wellbeing range and revitalise your mind, body and soul. What’s more, all products contain no petrochemical paraffin, mineral wax, harsh preservatives or artificial perfumes, only pure essential oils.